What needs to be observed, though, is whether Hamza and Shehbaz prove to be Nawaz’s puppets up until the 2018 elections. (How many Bhuttos will you kill? A Bhutto will come out of every house). Truer words may have never been spoken. After Benazir Bhutto’s untimely demise in 2007, political analysts feared the Bhutto legacy and lineage may be severed for good. But lo and behold, we saw Bilawal Bhutto Zardari emerge from the shadows and pushed to the forefront of the Pakistan Peoples Party (PPP). Party stalwarts may never have imagined the English-speaking, Oxford graduate to take up a position which may very well have been better suited for someone more seasoned, mature and someone who spent the majority of their life serving the party or even residing in the country. But this is Pakistan. Nepotism trumps meritocracy. What experience does a fresh graduate, who has been made to stay away from his country, have in the field of brutal Pakistani politics? What sound achievements has he bagged in comparison to the likes of staunch and earnest party supporters? None. Yet, he is the chairman of PPP. Statistically speaking, out of the total 342 seats in the National Assembly, PPP only has 47. With the chairman barely being able to relate to the masses and co-chairman Asif Ali Zardari being away for most of the time, how can one expect the party to run efficiently? Zulfikar Ali Bhutto should be given credit for establishing the first popularly-elected government in Pakistan. Benazir too, lived up to her father’s popular legacy and emulated his vision. But with their deaths, PPP’s popularity began ebbing away and now they seem to be losing their foothold in Sindh as well, a province which was considered their stronghold. The party is now a former shadow of what its founder had intended it to be. But if he were alive, would he have nominated any other than his own grandson to lead the party? But dynastic politics don’t end with the once mighty Bhuttos. The Sharif clan isn’t far behind in keeping the flame of nepotistic politics alive. With Nawaz Sharif’s disqualification over the Panama Leaks corruption probe, we witnessed the wheels of nepotism turning once again. The premiership mantle will be passed to Shehbaz Sharif up until the 2018 elections and Hamza Shehbaz will step into the shoes of his father’s role as the chief minister of Punjab. And so we will once again witness an intergenerational transfer of power, rather than a democratic transition of power. This will further work in favour of the two-party system in Pakistan, where premiership fluctuates between a Bhutto and a Sharif (with the exception of martial law administrations). While Shehbaz may be a worthy contender in his brother’s eyes, it must be noted that during such uncertain times, handing the reins over to Shehbaz could be a risky political experiment. Up until now, we have only observed him in a provincial capacity. So will he be able to deliver as a premier? Pakistan Muslim League-Nawaz (PML-N) has been blamed for being Punjab-centric and the shift of power from one brother to another will only deepen this feeling amongst most Pakistanis. This feeling will further intensify with Hamza’s probable CM appointment. And why shouldn’t it? What has Hamza done, other than share the same surname as Nawaz, to be nominated for the future CM of Punjab? However, Hamza, a current MNA, must be thanking his lucky stars since he may be promoted to a desired position sooner than later. But he has to be elected to Shehbaz’s provincial assembly seat in a by-election first. 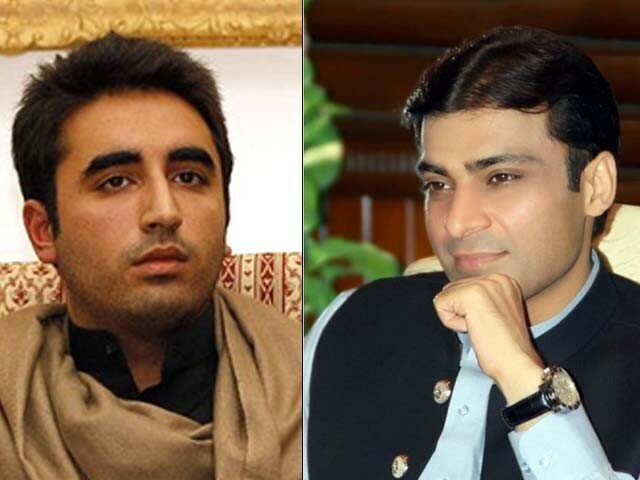 Pitted against the likes of Rana Sanaullah and Mujtaba Shujaur Rahman, does Hamza actually stand a chance to make his way to the Punjab CM house? Yes, all thanks to nepotism. At the end of the day, Nawaz has the final say. He will certainly want his brother and nephew to retain power for now, so as to retain the image of stability in the PML-N quarters. But at the same time, Nawaz will also be wary of the amount of power Shehbaz and Hamza should be allowed. After all, Nawaz wouldn’t want his legacy to be overshadowed by his brother and nephew. Currently, PML-N has 188 seats in the NA and their stint up until the elections will determine their success in the 2018 elections. PML-N will want to put their best foot forward, as well as their best replacement for Nawaz. Merit will be overlooked and family ties will be brought into account, which is why Pakistan finds itself in its current position. Let’s not forget, this is Pakistan. Blood is thicker than water.